you and I, and everything Peoples Choice does is designed to benefit their members. It’s a simple philosophy that says a lot about how we operate – we’re about helping people, not helping ourselves to profit. What’s more, as a member, we have a direct say in how they’re run by voting in our annual Election of Directors. Plus, all members can run for election to the Board. People’s Choice Credit Union offers some of the most competitive rates in the market while providing you with friendly, professional service. Employee Volunteerism – Paid time-off for employees to volunteer, on different socially conscious projects. 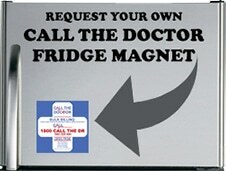 Call the Doctor has incentives for employees to maintain optimum health, they provide corporate membership to the local gym for all employees, smoking cessation. 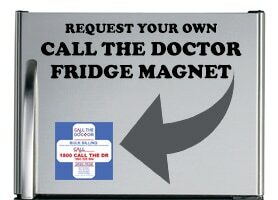 Call The Doctor recognises that obesity is an every growing problem in Australia and provides health conscious home cooked meals to staff to recognise that their jobs can be sedentary and that junk food is not the best option. We have a focus on nursing homes, group homes and shelter accommodation where people are most in need of health care in an after-hours period. Call The Doctor service a fully computerised practice. This has benefited the service by reduced wastage and better environmental outcomes. We use recycled and environmentally sustainable papers.